We are happy to announce that BLOCK has been added to the FEX Exchange! Deposits are currently open and trading begins Monday March 4th! FEX is a Hong Kong based exchange whose trading community is comprised mostly of Chinese and Southeast Asian traders. Their website is sleek, easy to navigate, and is available in both Mandarin and English. 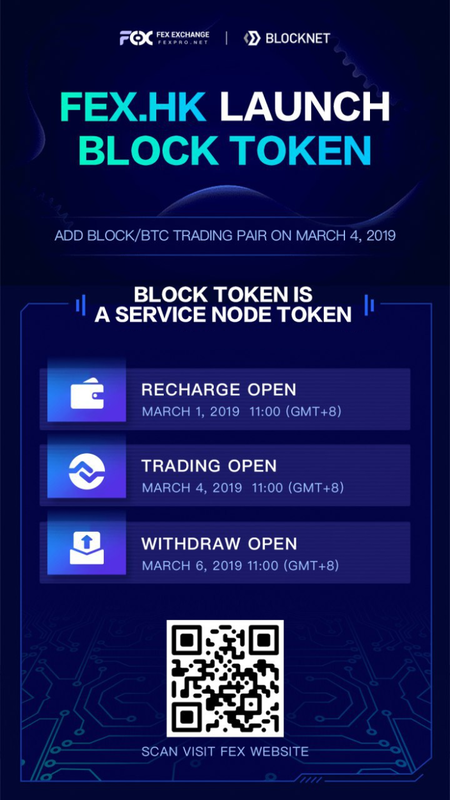 In addition to being listed, FEX will be promoting Blocknet to their trading community through various marketing efforts including airdrops and offering continuous BLOCK reward accruals to their traders. They will also be helping their community get more familiar with the project by creating guides to help them setup the wallet, staking, and Service Nodes!